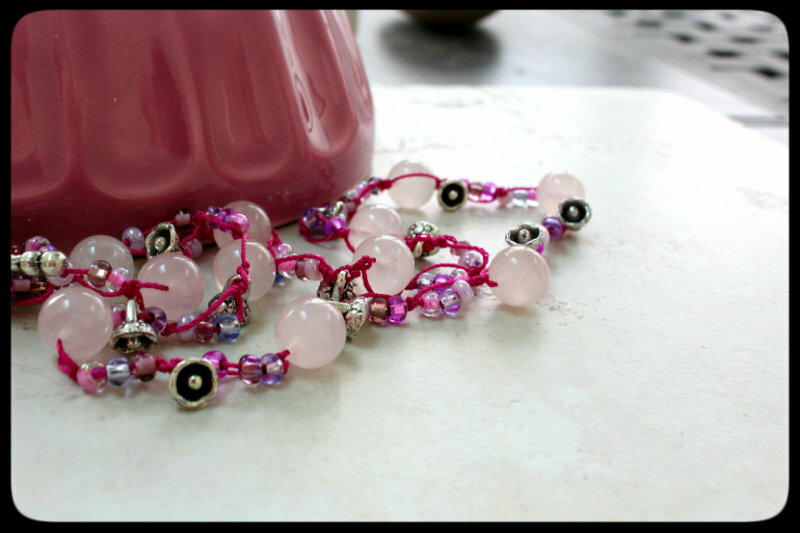 Looking for the 3rd reveal of the Bead Soup Blog Party? Click here! 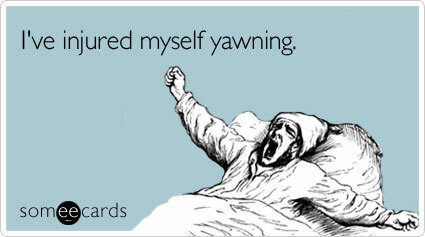 Even the best laid plans go awry, and my plans for this week will have to wait until next week. I'm actually going to take the entire week off from blogging and hope you'll poke around the archives to see what I've written in the past. So the big book giveaway will be next week! Thanks for visiting -- it means more than you know. 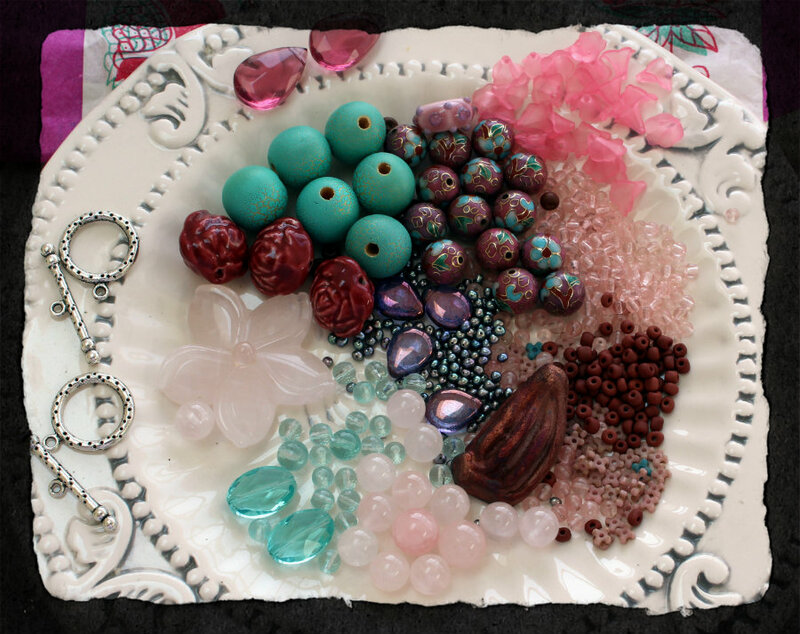 This weekend is the Bead Soup Blog Party but I'm already planning for next week! Next week, I'll be reviewing EIGHT Lark books and then will be giving them away! You never know what day I'll be giving away which books, so keep your eyes peeled. 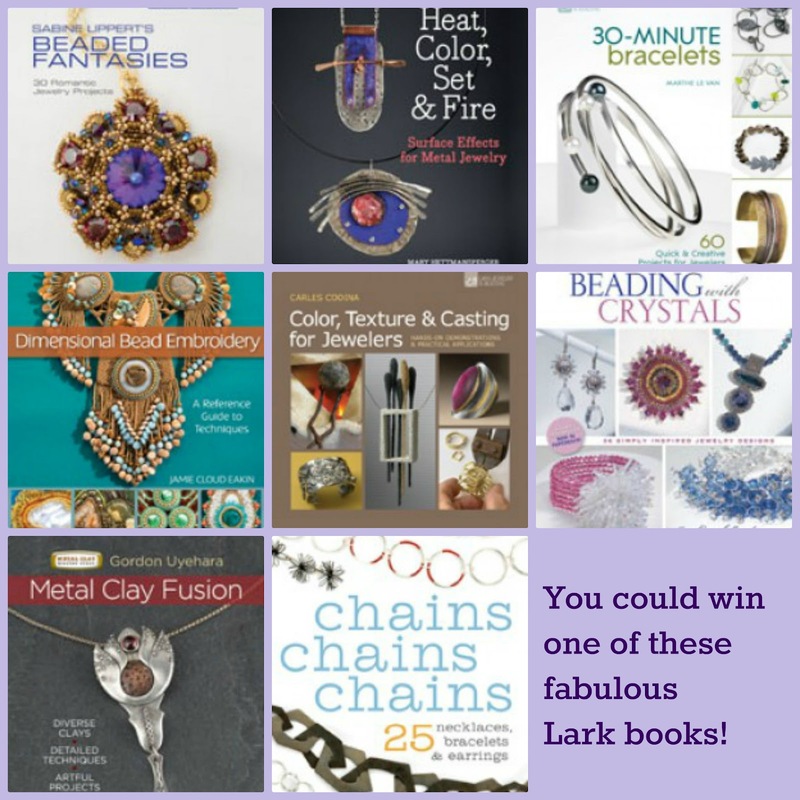 There are books on seed beading, crystals, casting, metal, and more! I'm also going to be announcing sales some bead artists are having for next weekend, so you won't want to miss that, either. After that? I just might pass out and take to writing some silly stuff. Would that be OK with y'all? 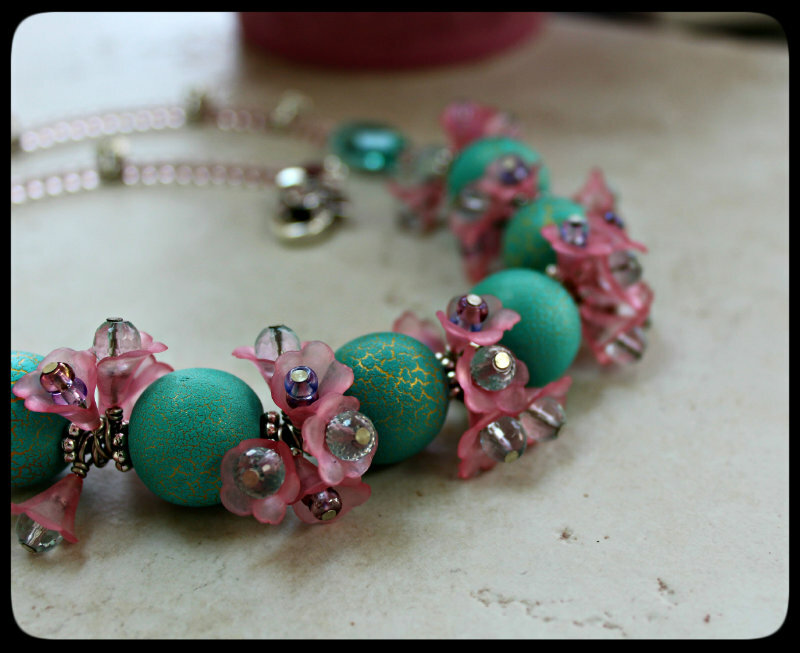 3rd Bead Soup Blog Party reveal is this Saturday -- and Kalmbach is throwing a Bead Soup party on Facebook! 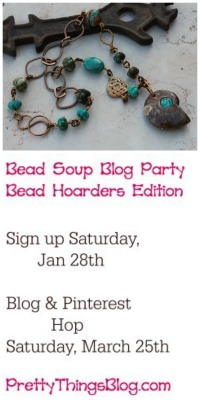 This Saturday is the final installment of the 6th Bead Soup Blog Party. I can't believe how many people joined in this time, and am already looking forward to the Jan/Feb time frame for the next one! Just in case you missed it, I am ONLY going to be having this party once a year from now on, so I do hope to see you in Jan/Feb. In addition to the traditional blog hop, Kalmbach, my publisher, is launching the book with a Facebook Bead Soup hop. 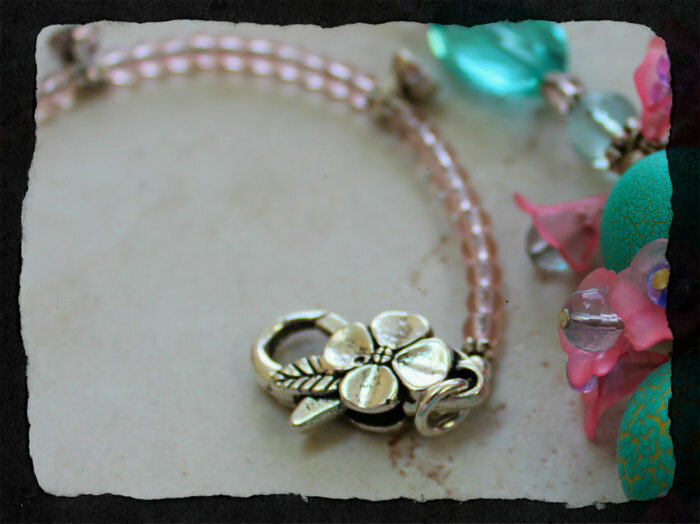 Multiple bead shops are donating their beads for you to work with, and on a certain date, you'll post on Facebook. Want to learn more? 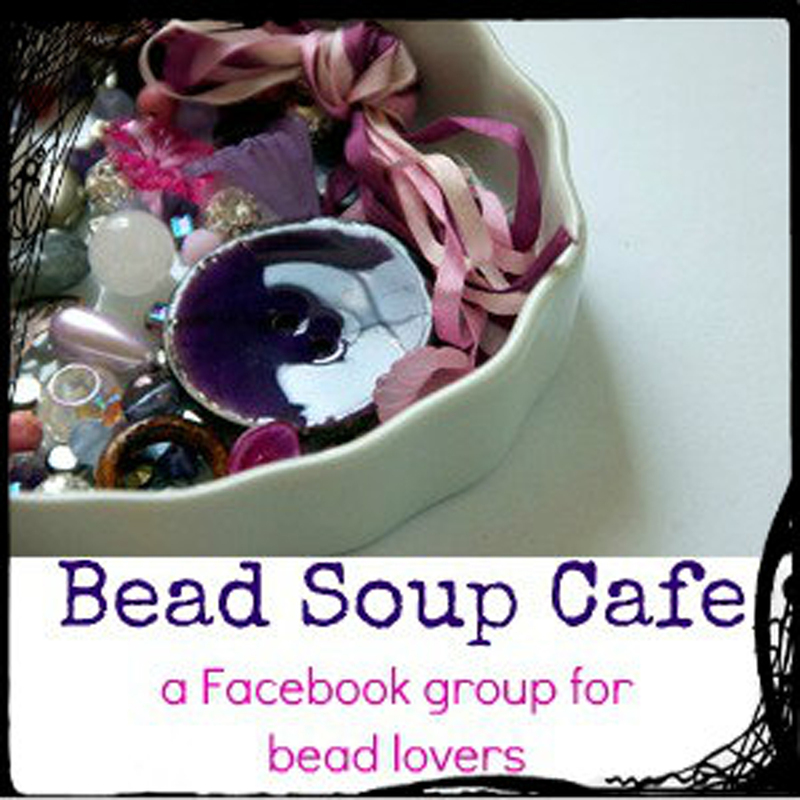 Click here to sign up, and visit https://www.facebook.com/KalmbachJewelryBooks to keep up with the various soups! I still have some books left for sale (over on the right side bar there) which included three free tutorials unavailable to anyone else, and it includes shipping to the US! 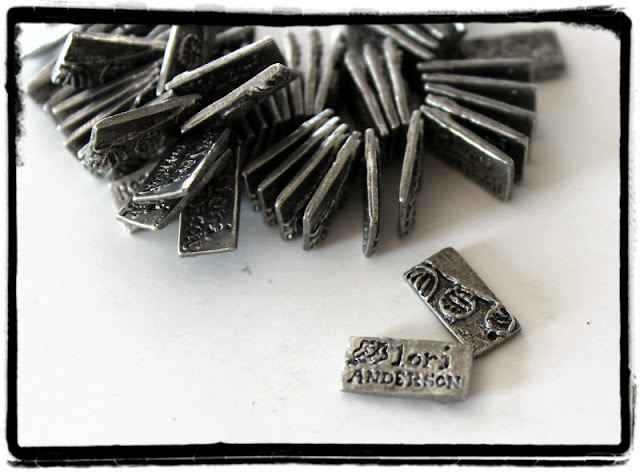 International orders will be billed a 7.50 charge to cover Priority Mail. As for this weekend's soup -- I've been really pushing myself! I've played with copper, torn apart about three macrame creations (I need to see someone actually DO the stitch rather than read it) but I've ended up with some unique things. I'm not done, but I'm on my way! If you'd like to know more about the Bead Soup Blog party, click here. the 6th BSBP, live, click here. This weekend, my oldest step-son moved to North Carolina. Since my back is crap and I would have been useless, we planned on my staying home. But wait! 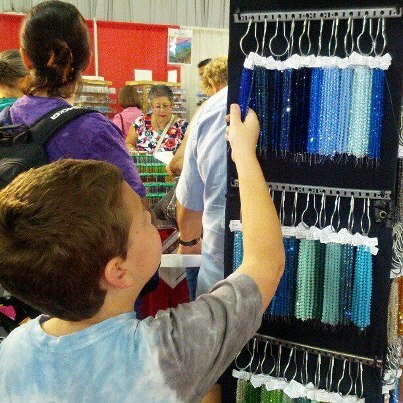 Isn't BeadFest the same weekend? So with a very limited budget and a full tank of gas in the Punch Buggy, we headed towards Philly on Friday. 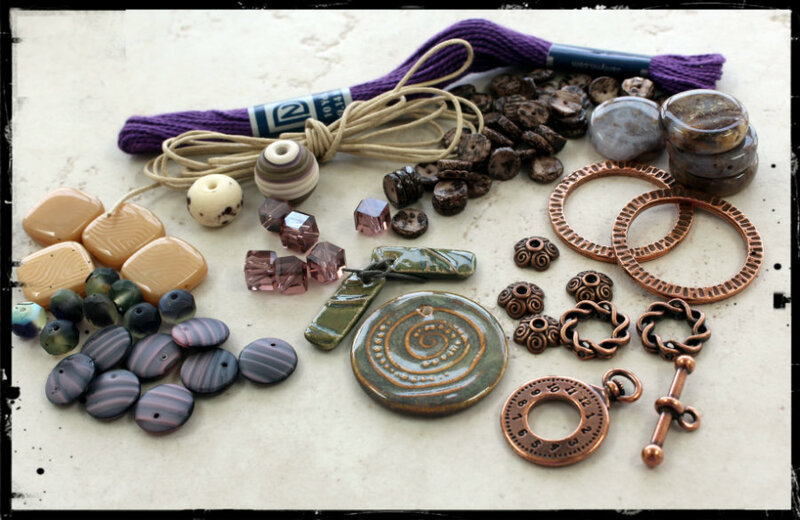 Attending a bead show, a craft show, or an antique mall with a kidlet can be a recipe for disaster or an exercise in futility if you aren't prepared. I had no expectations for this show -- I didn't NEED anything -- and I really just wanted to spend some quality time with my son. Zack loves going through my beads and he likes to shop, but I'm also not entirely stupid, so there had to be a plan. #1 -- I wrote down the numbers of the vendors I HAD to see. Most were friends I wanted to say hello to, some were just for massive longing (ie, the Fretz hammers.....oh my!) but I knew I wouldn't have a chance to see everything. #2 -- I packed snacks and a card game. Zack and I would walk an aisle, then go to the concession stand and play Monopoly Deal. Someone walked to us and said, "That's a good mom!" and I said, "No, that's a good KID!". 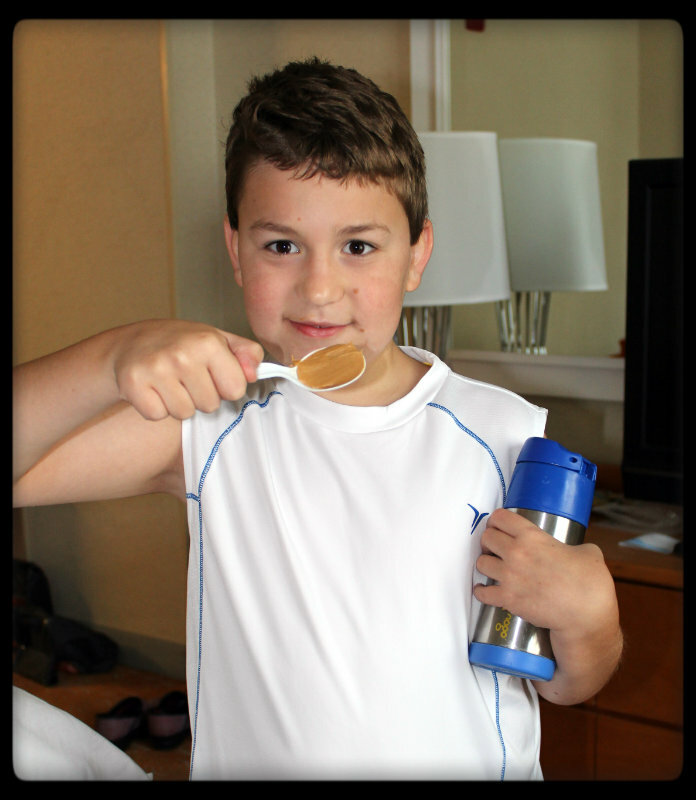 The favorite "peanut butter spoon". #3 -- I planned on spending what money I had on him. And boy did Zack have good taste. 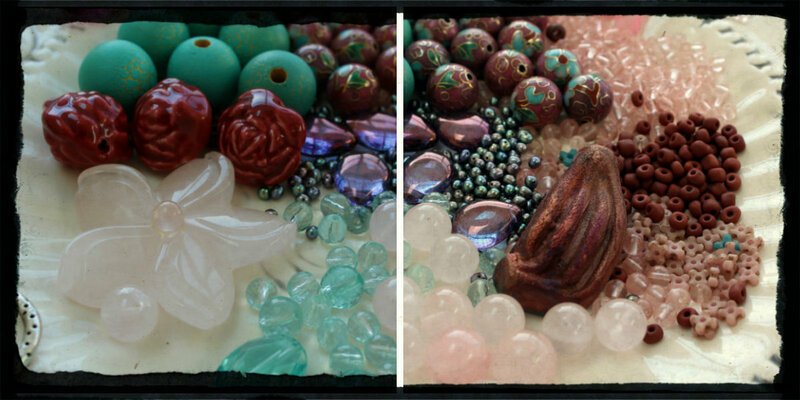 He came out with some amazing lampwork beads (a mermaid and a dragon, to name a few). 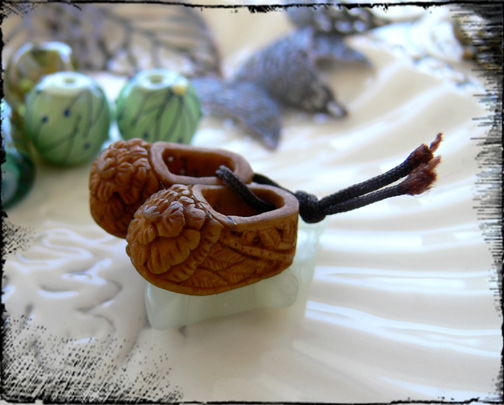 He takes care of his treasures, too, with a bookshelf just for these special finds. #4 -- Know when it's time to go. Friday, Zack determined that, and we went to dinner and then a swim in the hotel pool before a long night of digging through our beads and playing cards. 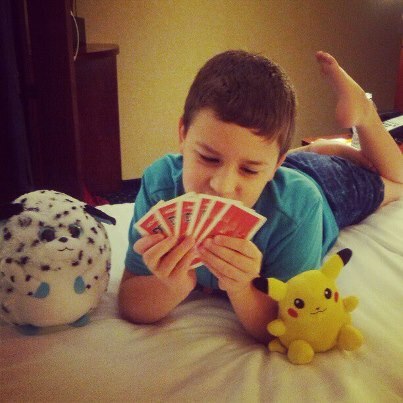 What was wonderful was not only spending time with my son, but sharing him with friends who've met him on this blog. The list of people we met is so long I'm terrified of forgetting someone, so rather than list you all out, let me tell you all -- it was fabulous to see you, I loved your amazing work (what you were selling, what you were wearing -- wow! ), and I appreciated so much how kind you were to the Zack-man. There will be lots of thank you notes heading out the door this week! Unfortunately, Zack and I had to leave early on Saturday (my back started going out and it's still out, along with a killer migraine to keep it company -- I can hardly see while I'm typing this) so I missed the bead swap, but I did get my beads to the hostess so I hope my partner liked what Zack and I picked out! OH! 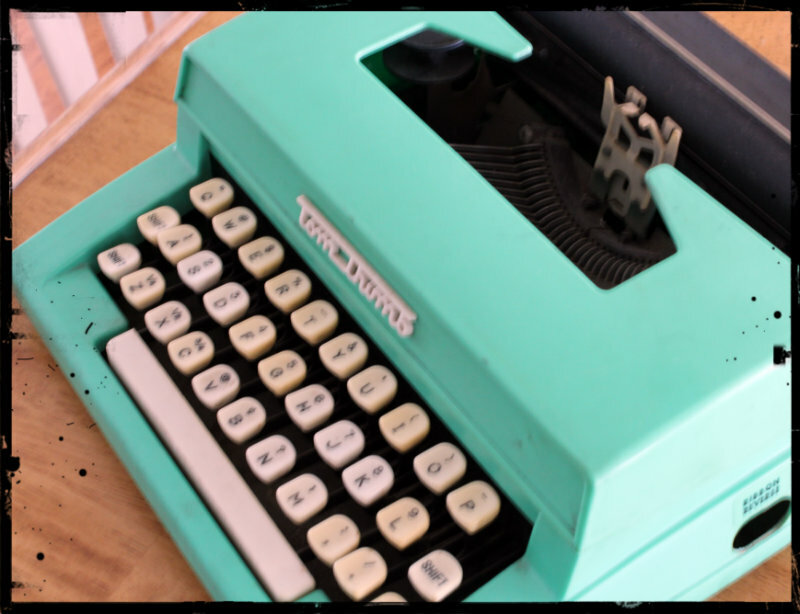 And fun factoid: I'll bet I was the only person walking around the show on Friday with a vintage toy typewriter! (Thank you, Cynthia!!!!). Now I'm fighting pinched back nerves and a migraine and deadlines but I'm happy! 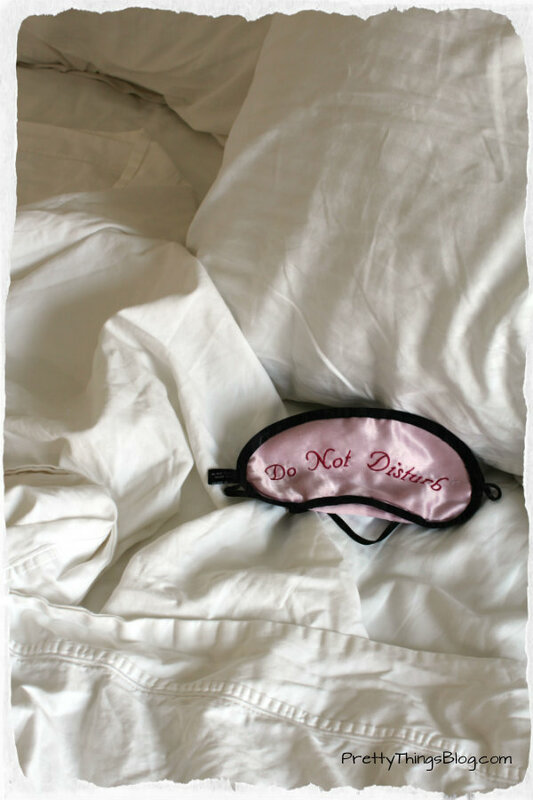 You have to take the happiness when it comes your way and embrace it and then, when you're stuck in bed with an ice pack over your eyes, you have wonderful things to remember. Lynda of Fresh Baked Designs! and a lesson in making lemonade out of the lemons you're sometimes handed. I have a lampwork studio, yes. 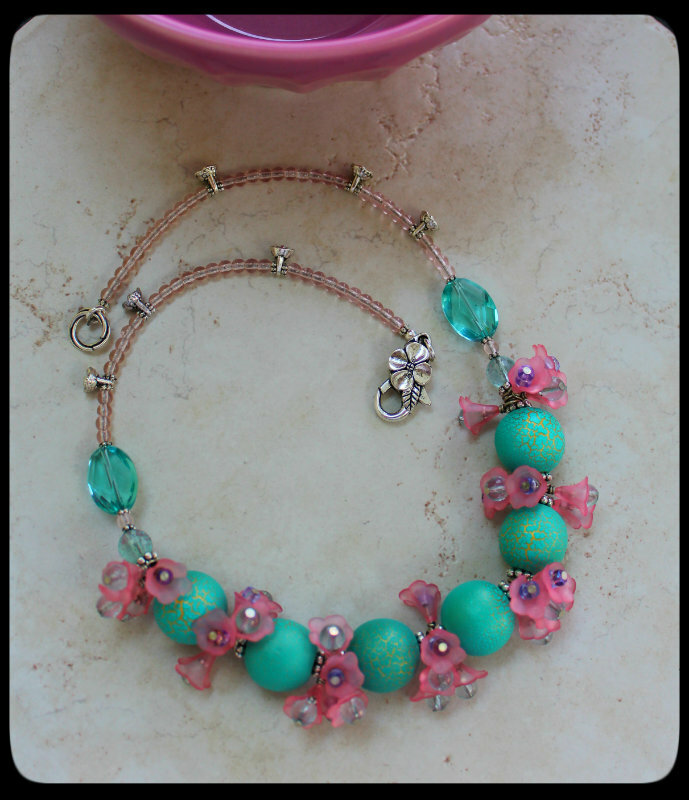 But that doesn't mean I have lampwork talent or skills. Or time. Because it takes TIME to get good at this glass art stuff. 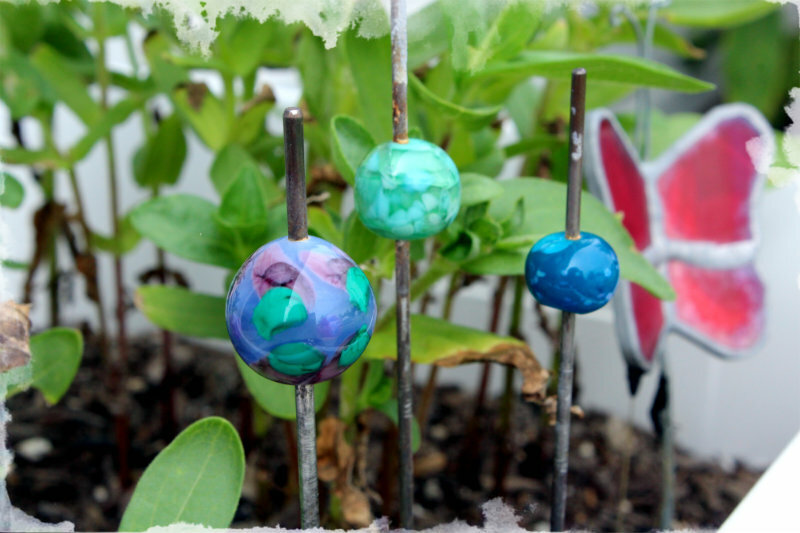 Molten glass, crazy-hot torch, hot kiln, summer heat -- it seems like the only time I have that's comfortable to work on lampworking is when its time to ramp up the jewelry making for holiday shows. And once those are over, it's freezing and the rods of glass get hot, then shatter when I take them out of the heat into the winter air. So you see where I'm going -- I'm not good as this lampworking stuff. But I like it! And when I DO get to go out to the studio, the zen of staring at that glass, the colors all over the place, the mystery of what's behind Kiln Door #1. All of that is really cool, and the fact that I'm not a wizard at glass yet, and may never be, is perfectly fine with me because I get something out of it. 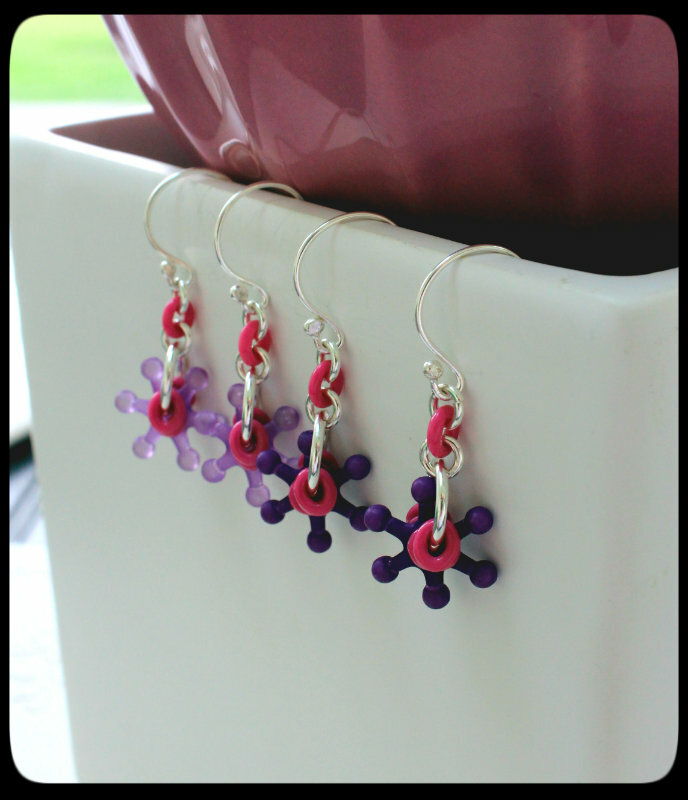 Sometimes, lots of times, actually, I make wonky beads and KNOW I can't that hole perfect or the shape just right but I don't dump it in the water bucket to shatter into oblivion and start over. 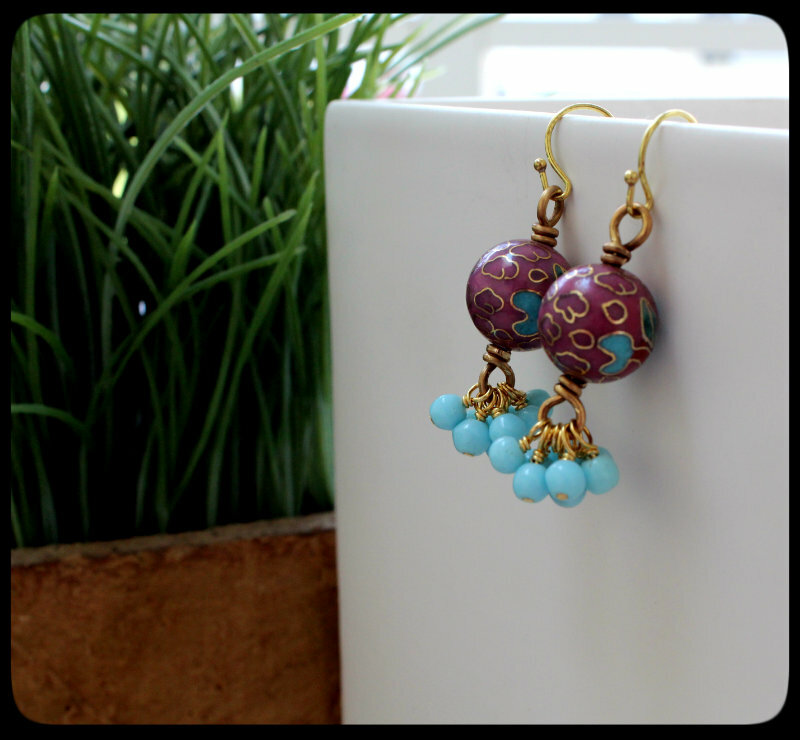 Sometimes I take a bead that is really pretty, but I KNOW it's going to be a mistake, and I keep working it. I play, I add this, try a new technique, knowing all the while it's destined for the Bowl of Boo-Boos. 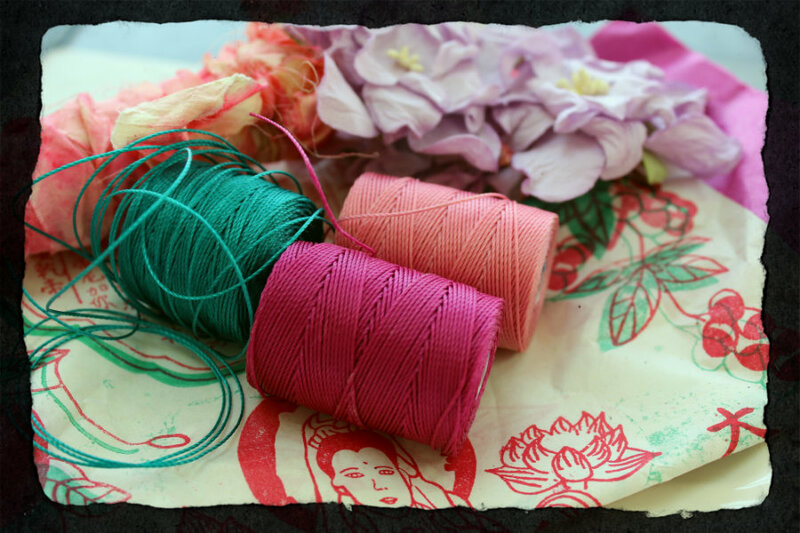 Then there are the DOUBLE boo-boos -- a bead that I can't get off the mandrel, no matter WHAT tricks I try (and I've tried about 4,591,233 of them). 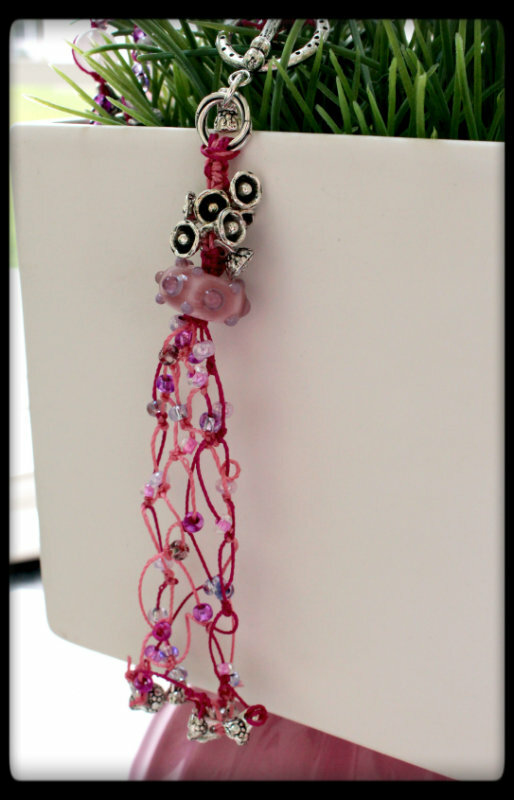 When the bead is a wonky one, that's OK, but boy does it hurt if I made a good one and it's STUCK. That's when you make plant stakes. Lemonade. 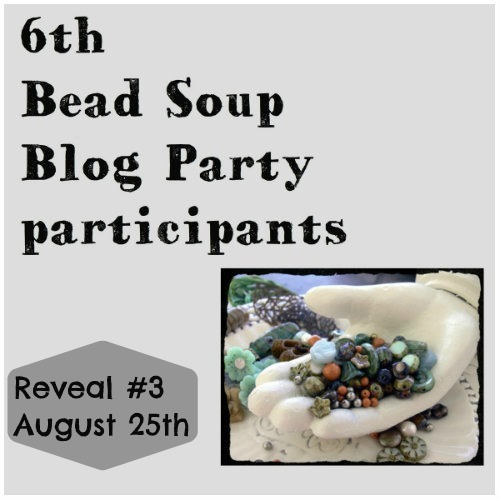 Looking for the 2nd reveal of the 6th Bead Soup Blog Party? Click here! 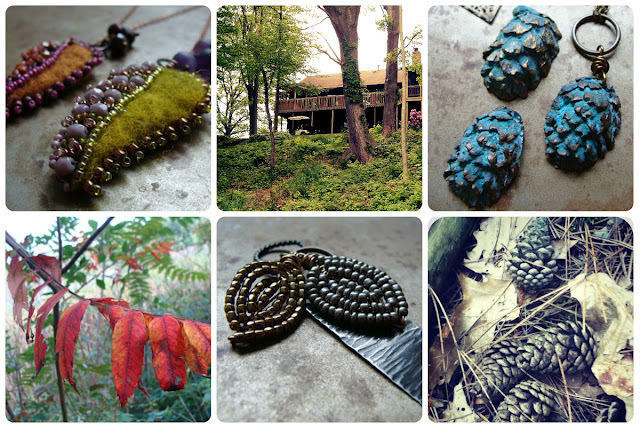 Last year Heather Powers published "Jewelry Designs from Nature" via Kalmbach. 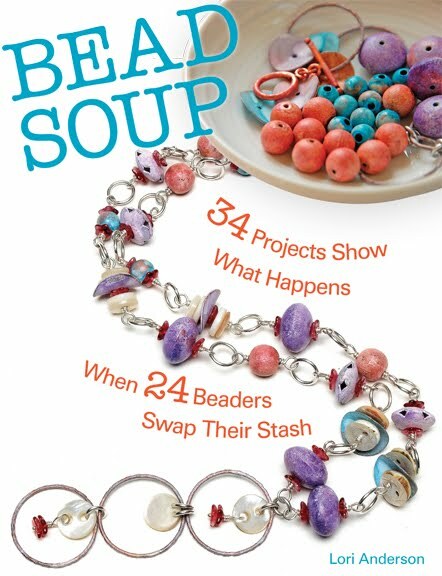 She's also a contributor to my own book, "Bead Soup"! This year, Heather is hosting the weekend retreat again, with "Into the Woods" as the theme. And what better place for a forest-themed retreat than in a woodland lodge next to the scenic Black River in South Haven, Michigan? 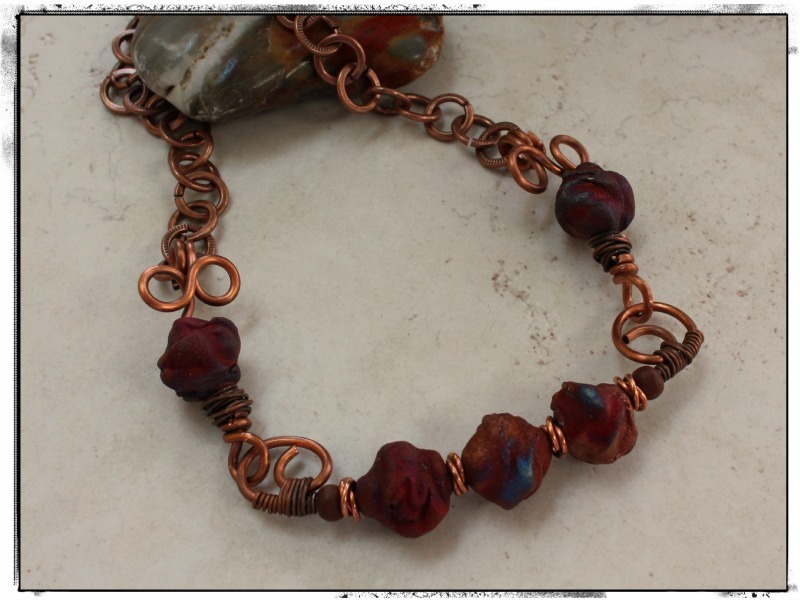 From October 26-28, consider spending three days creating jewelry and exploring a variety of techniques. 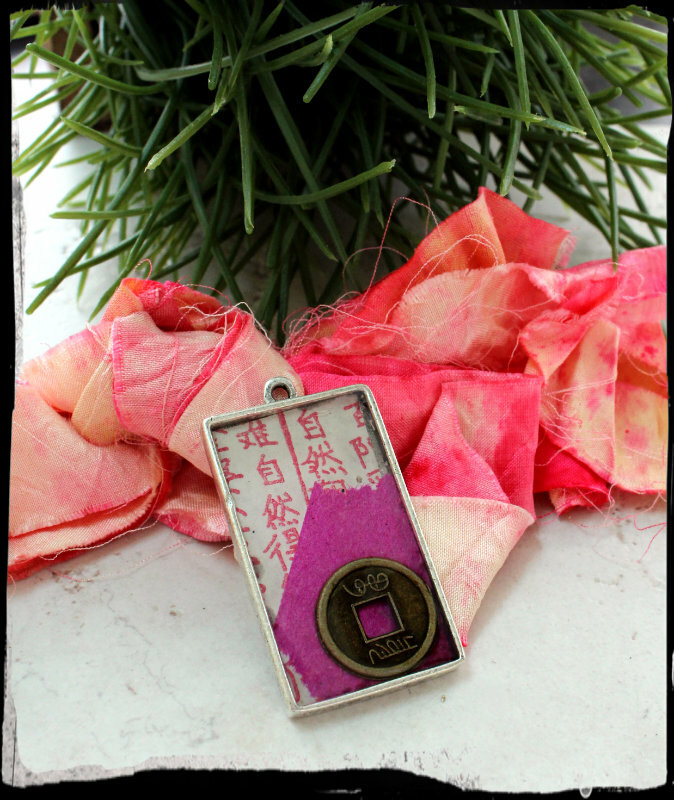 You'll create pendants from resin with treasures found on the forest floor using a new patina system. 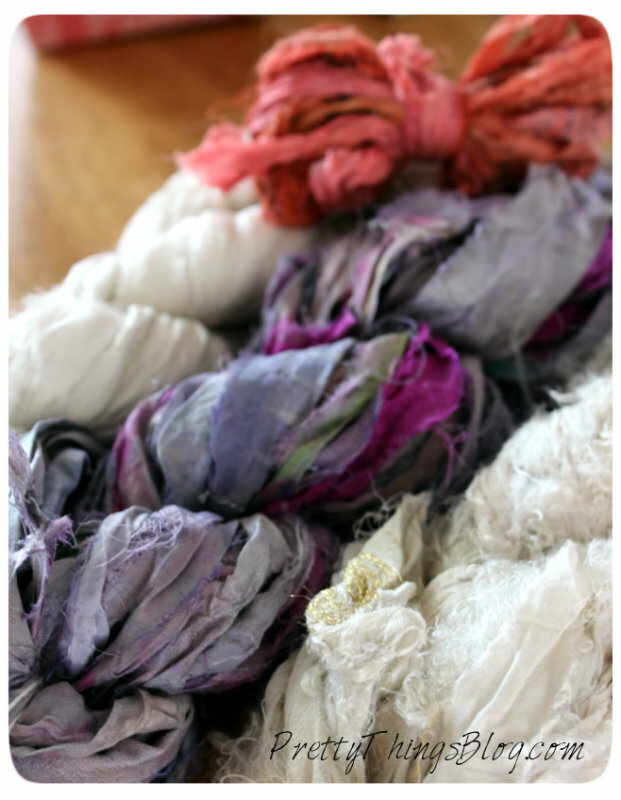 You'll whip up felted and bead-embroidered leaves in autumn-inspired hues. And finally, you'll spend a day sketching with a hammer onto metal blanks to create birch bark, Queen Anne's lace and pine bough components. 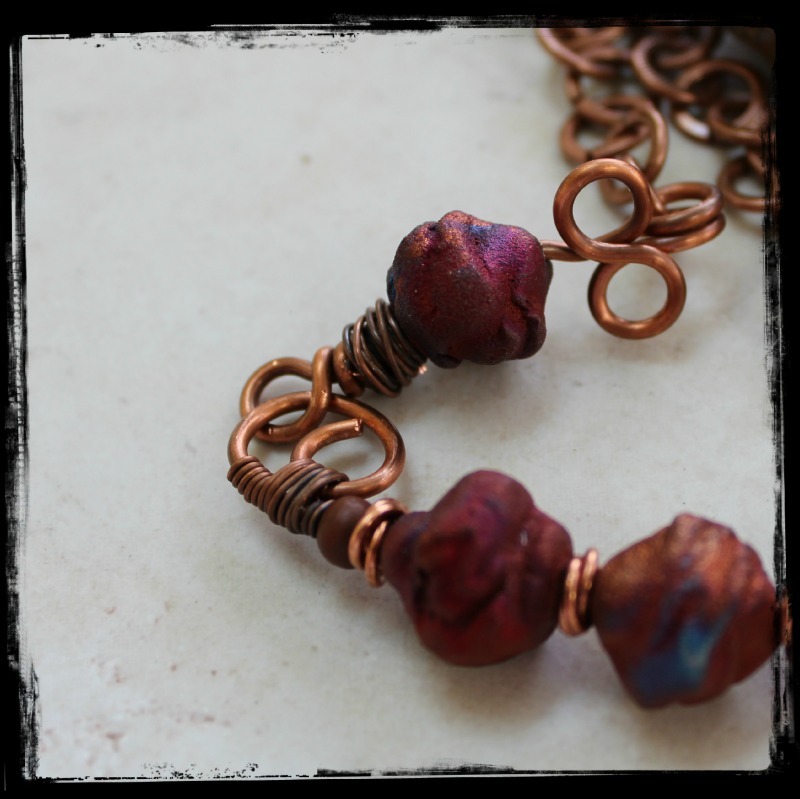 Guest Instructor Erin Prais-Hintz will lead students through design principles to breathe new life old jewelry. 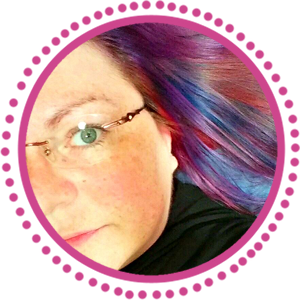 Heather has promised a relaxing, informative, and creative retreat, soaking in the color and sights of autumn as you unwind. The rustic woodland surroundings will be your backdrop as you delve into your creative journey. I wish I could attend the retreat, so you'll have to go and tell me all about it! To view details and make plans, visit http://inspiredbynatureretreat.blogspot.com. 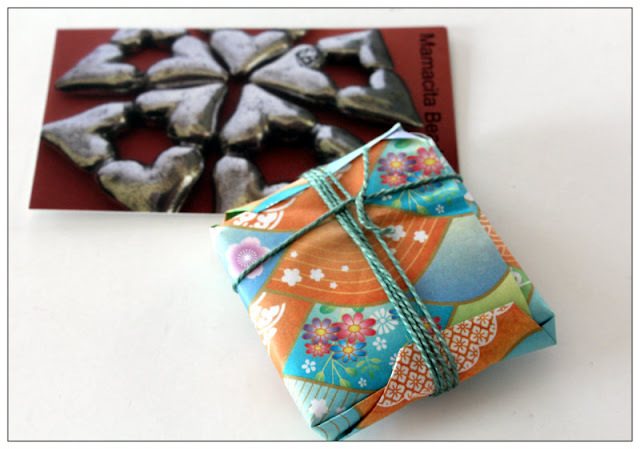 Heather is letting me give away a $30 gift certificate to her shop! HURRY! The winner will be announced on Monday, August 20th! 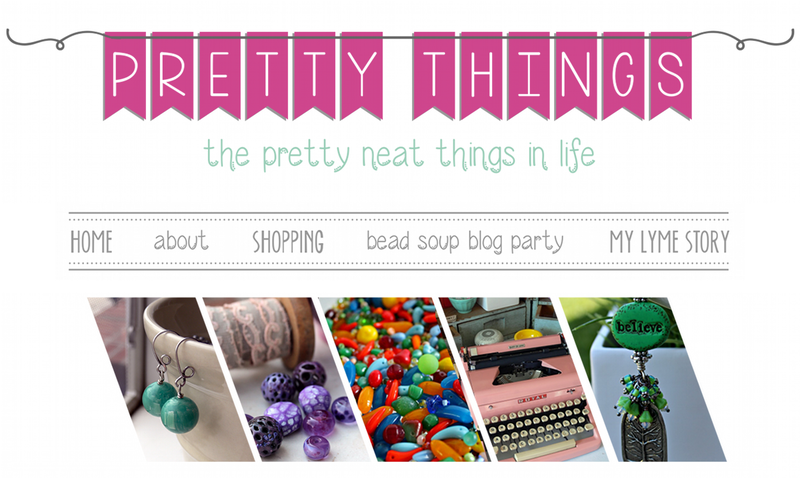 blog, Twitter, or Facebook about Heather's retreat. 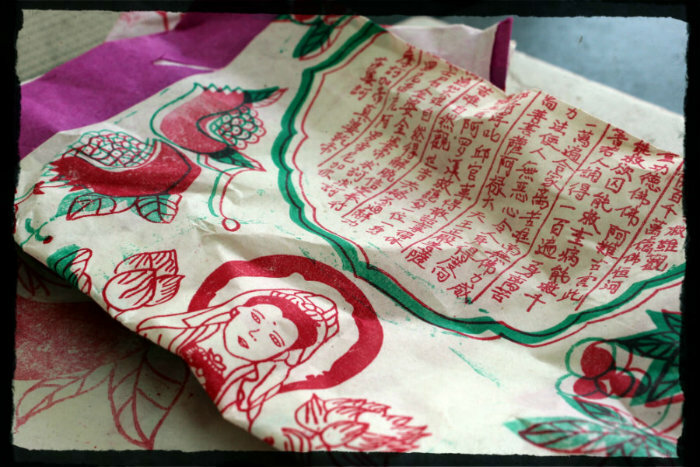 Stay tuned for news about even more retreats and creative opportunities! 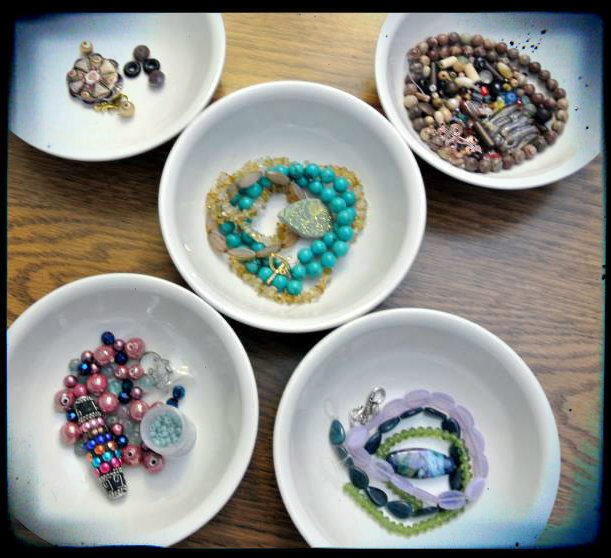 I had the awesome pleasure of working with D'Arsie Manzella of Mamacita Beadworks to create customized jewelry tags for some of my more special pieces of jewelry. 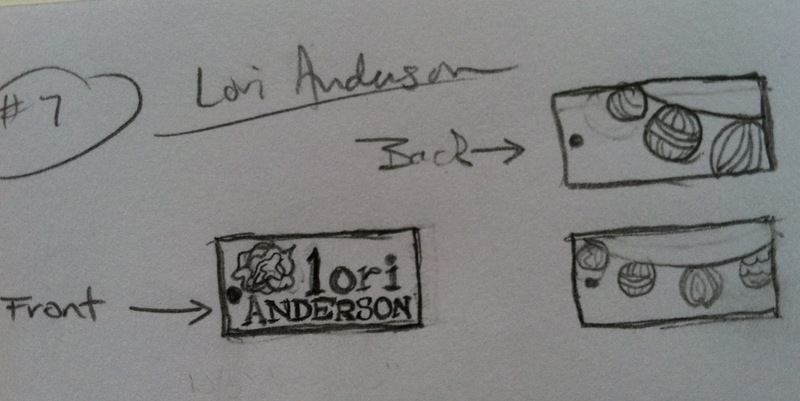 I had always wanted to have jewelry tags, but I didn't like the kind you stamped. I wanted something truly unique and original and custom designed, and D'Arsie made the wish come true. Are they not the coolest? 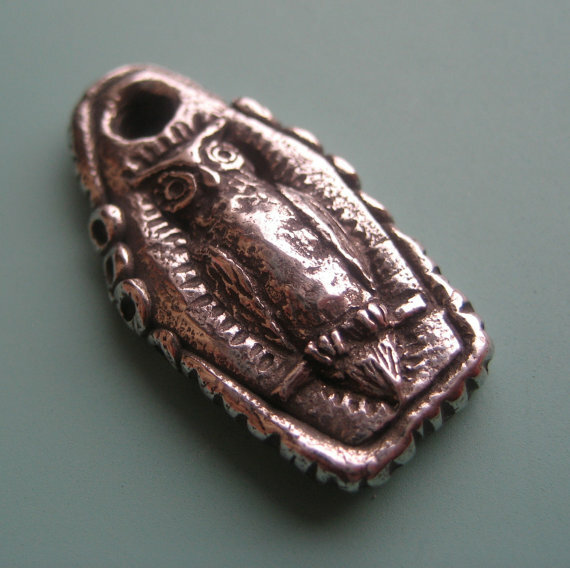 And don't forget to take a look at her original pewter beads! 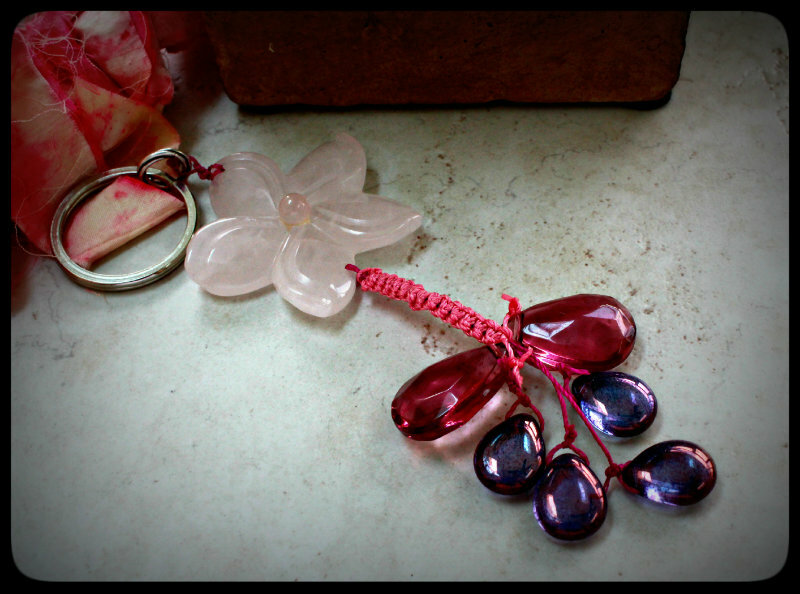 with equally unique jewelry tags soon!